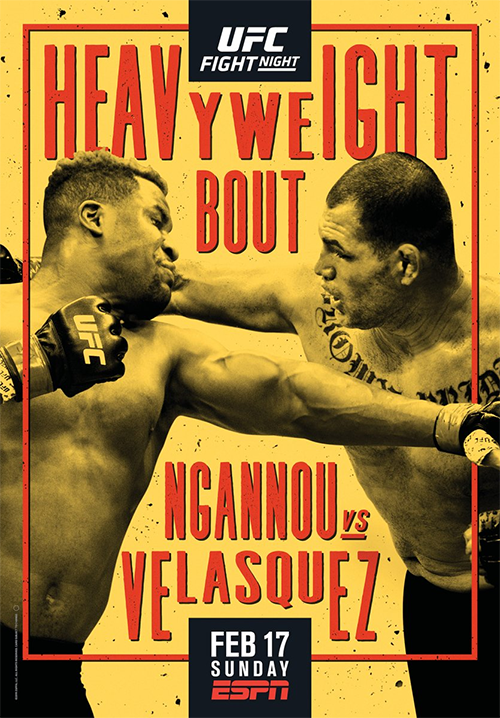 UFC on ESPN 1: Ngannou vs. Velasquez is an upcoming mixed martial arts event produced by the Ultimate Fighting Championship that will be held on February 17, 2019 at Talking Stick Resort Arena in Phoenix, Arizona, United States. A heavyweight bout between former two-time UFC Heavyweight Champion Cain Velasquez and former title challenger Francis Ngannou has been tabbed to serve as the event headliner. As a result of the cancellation of UFC 233, fights between Cortney Casey and Cynthia Calvillo, James Vick and Paul Felder, Benito Lopez and Manny Bermudez and Aleksandra Albu and Emily Whitmire respectively, were rescheduled for this event. A women's flyweight bout between former Invicta FC Bantamweight Champion Lauren Murphy and Ashlee Evans-Smith was expected to take place at the event. However on December 19, Murphy announced she will need more time off to recover from surgery and won't make it to this event. On December 20, it was reported that Andrea Lee will replace Murphy against Evans-Smith. 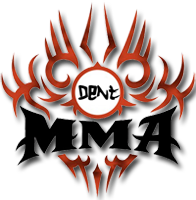 At the weigh-ins Burmudez (140), Renan Barao (138), and Jessica Penne (118) failed to make weight for their respective bouts. Bermudez was fined 30% of his fight purse while Barao and Penne were fined 20% of their purses. All bouts continued at catchweight respectively.